Shredall and SDS are one of the UK's largest independently owned shredding, document storage and document scanning companies. We provide a complete information-management service, from shredding and recycling to document scanning and storage. Years of experience working with companies in all sectors have given us a thorough understanding of client needs and compliance issues, and our capabilities and processes are the best in our industry. We may have grown to become one of the largest businesses in our sector, but we are proud to remain a family-run organisation and stay true to our core values. We prioritise customer service above all else and work hard to build lasting, mutually beneficial relationships with all our clients. We work with anyone who needs to destroy, scan or store documents. We destroy confidential documents, old computer equipment and unused products; we scan files to create space-saving digital archives; and we provide storage, retrieval and re-file or backup tape facilities for companies who don’t have the storage space to file paperwork. Our customer base varies from small companies to large multinationals, and both public- and private-sector bodies. We work with organisations including the NHS and the Bank of England, as well as many legal and financial services companies, schools, colleges, and individuals. Our services range from scheduled confidential waste collections to ad-hoc bulk collections and we work either on or off site. 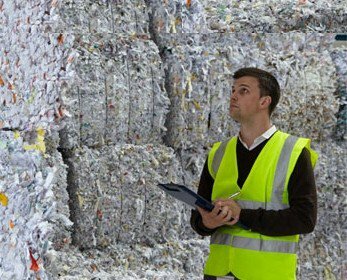 Shredded paper is baled at our premises and recycled into tissue products, and we’re proud to recycle 100% of paper waste. We can also shred media formats; redundant products and uniforms; and retired IT equipment, using industrial shredders that cross-cut all waste so it can’t be identified or re-used. Together with our sister company, SDS Document Storage and Scanning, we offer what we like to call total information management – a convenient one-stop shop for all your documentation and data needs. 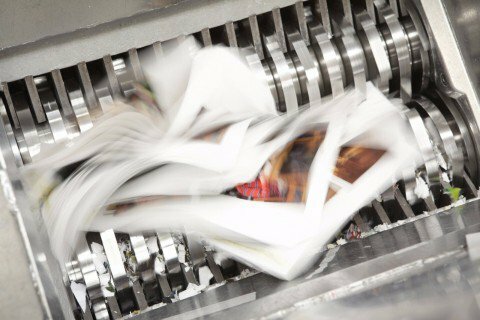 Our records-management services include hard-copy storage, media vault services and document scanning. 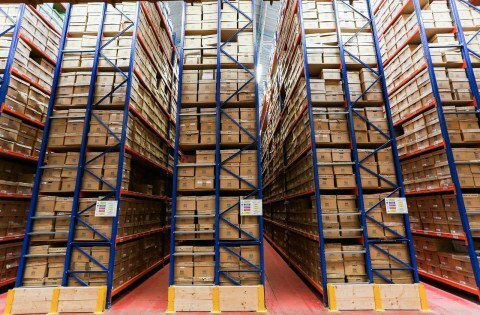 Our secure, state-of-the-art warehouse currently houses over 2 million documents. Daily media reports on high-profile information security breaches inspired our founder, Lloyd Williams to set up Shredall in 1997. At the time it was only the second mobile shredding company in Europe. In April 2010, Lloyd made Shredall and SDS Document Storage and Scanning a wholly owned family business. Having proved themselves over ten years of working for the company, his children Lucy and Nik joined the board of directors. Lucy is now Company Director of SDS, while Nik is our Group Sales Director. Today Shredall and SDS has nationwide offices and a team of 70 valued team members. We have served over 8,000 satisfied clients in the UK and fulfilled contracts for corporations worldwide. Our scanning business, SDS Document Scanning, has doubled in size since 2013, picking up work from businesses of all sectors. SDS Document Storage also continues to go from strength to strength, having increased its specialist underground data storage facilities almost threefold. We now provide 60,000 feet of high-quality, secure storage space. Our head office and main depot is in Nottingham, while a further depot in Glasgow and offices in London and Birmingham allow us to provide both regular and ad-hoc shredding, scanning, storage and recycling services across the UK. From our bases in Nottingham and Birmingham, we work throughout the East Midlands, Midlands, West Midlands and Yorkshire, with daily collections in our core areas of Nottingham, Derby and Leicester and regular routes through Leeds, Sheffield, Doncaster and every city in between. We also make weekly collections across Birmingham and fulfil contracts with the NHS and legal practices in Northampton, Milton Keynes, Hertfordshire and the Home Counties. Our London office allows us to serve the city, Canary Wharf and surrounding areas daily. Our Scotland depot is based in Lanarkshire, giving easy access to Glasgow, Stirling, Falkirk, Livingstone and Edinburgh. Our vehicles make regular collections in cities Dundee and Aberdeen as well as other cities in central Scotland and the surrounding areas. Years of experience working with companies in all sectors have given us a thorough understanding of industry needs and compliance issues, and our capabilities and processes are second to none. While we’re now a very large-scale operation, counting blue-chip companies and government departments among our customers, we are still privately owned and retain a very accommodating approach. We are – and always have been – extremely service orientated, and like to get to know each of our customers to really understand what you need. We’re also dedicated to compliance: we hold all industry accreditations and are ISO9001, ISO14001, OHSAS18001 and ISO 27001 certified. In fact, we’re the only company in our industry to hold all accreditations. Every company is different, and our team will be pleased to visit your site, discuss your data-management requirements and come up with a convenient, cost-effective solution. To find out more about our services or get a quote, call us on 03333 555 100 or fill in our contact form.